This past weekend MD Management, a physician specific investment group, generously hosted Ottawa MDs and their children to a sneak preview of Disney's new movie Frozen (it was great BTW, and only one very indirect body image reference and no weight bias/stigma). We were invited to arrive at 9:30am. Along with our free passes, MD Management generously gave out stuffed bears to the kids. But their generosity didn't stop there. 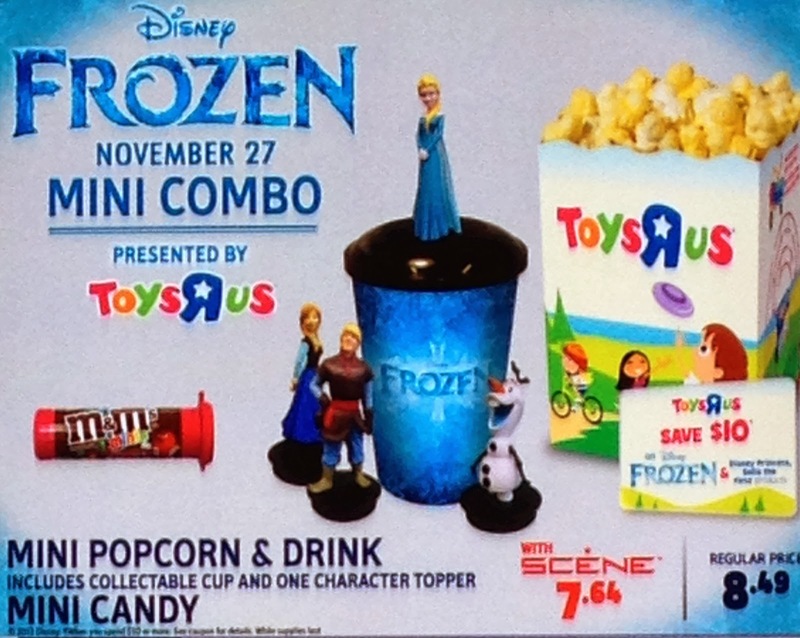 Free kid's combos for all kids which appeared to consist of 4 cups of movie popcorn, 16oz of sugared soda, and 1 tube of M&M minis for a total of 641 calories and 18 teaspoons of sugar at 9:30 in the morning! Yes of course, parents can say "No" (and I did - my daughter and I shared half a small bag of popcorn (which when ordered resulted in a great deal of confusion behind the counter) and we brought water along), and yes, I get that movies and junk food are synonymous, and no doubt MD Management was just trying to be a good host (which they certainly were), but here's looking forward to the day when being a good host doesn't include the automated provision of junk food.